However happy you are at home, and however much time and effort you may devote to making sure that it stays beautiful, there may come a time when you need to leave for a long-term period and open it up to a tenant. It may be temporary, or it may be on a permanent basis. You may not even know how long you’ll be away. Perhaps you and your family are relocating to seek a better life abroad in a country with more affordable housing prices, better job opportunities or nicer schools. Perhaps you’ve put your home on the market and you’re struggling to find a buyer, or maybe you’re expecting a new baby and need to upsize quickly. Whatever your reasons may be, you need to be aware of your responsibilities as a landlady, as well as how you can protect yourself when things go wrong. If you’re in a busy or hectic place in life then you may not have the time or energy to devote to managing your former home. You can make it easier on yourself by letting through an agent. However, if you’re planning on using rent payments as a form of passive income to help get you through a period of upheaval (like a big move or a new baby) then you need to know how much an agent’s fees will cut into your margin. 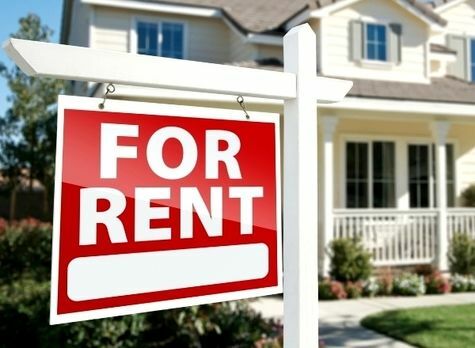 Most agents will charge around 10-15% of the rental income you receive, and remember that the income you receive from rent (minus agency fees) will still be as taxable as your wages. It’s important to choose the right letting agent for you. You have to feel comfortable with them and ensure that they’re offering you the services you need. Property management services are diverse and mustn’t let an agent upsell you with wasteful services that you don’t need. Suggest a rental price (that you both agree on). Draw up a legally compliant tenancy agreement. Deal directly with your tenants. Firstly it’s important to remove any valuables or anything you can’t bear to see lost or broken. If you have nowhere to put them, we recommend you store your valuables with Pink Self Storage. You also need to ensure that the property is safe and that no major repairs need to be carried out for the property to be habitable. That wiring repair you’ve been putting off all year? You’ll need to get it sorted before your tenants move in. Appliances need to be in good working order and the place needs to be in a clean, tidy state. Even if you’ve vetted your tenants and they seem great, it’s important that you’re protected in case they’re not all that they appear. Landlord insurance is also absolutely vital to protect you from damage caused by anything from natural disaster to vandalism. It can also cover your legal expenses if you need to take your tenant to court for a tenancy violation or protect your mortgage payments if your tenant defaults on their rent.